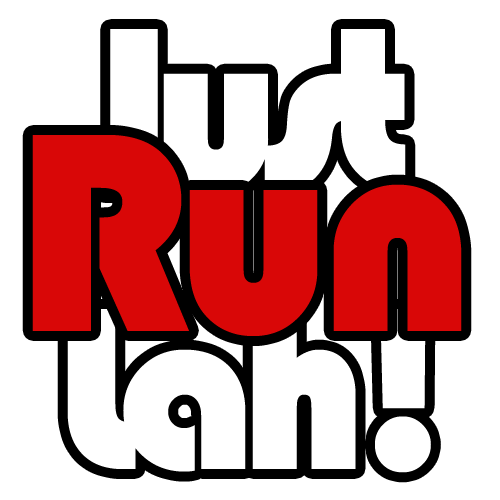 One Family, One Run: RunNUS 2014 | JustRunLah! 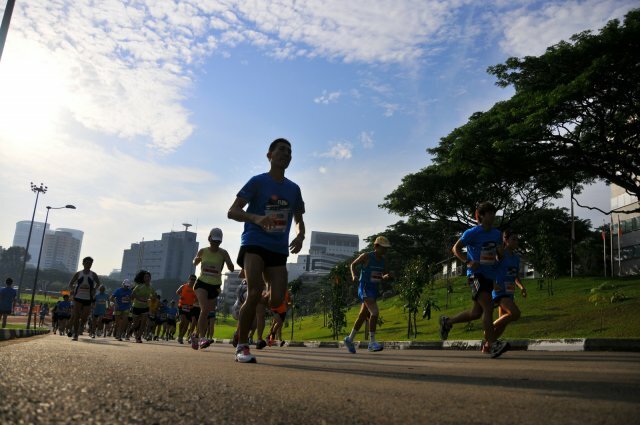 NUS’ annual largest running event will be back for the 8th time on 24th August 2014. This year, new elements have been added to the event! Continue reading to find out about the Carnival and the unique Family Challenge race. 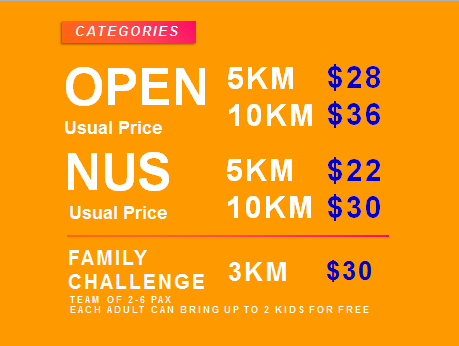 Now in its eighth year, RunNUS is the largest and the most anticipated annual running event for NUS alumni, students and staff. Organised by the NUS Students’ Sports Club, the event is open not only to members of NUS but to the public as well. Every year, RunNUS supports the NUS Annual Giving campaign, an annual campaign that aims to raise funds for student support. Net proceeds from runners’ fees, and individual pledges support University-wide bursaries for NUS students in financial need. For more information on the NUS Annual Giving campaign, visit www.annualgiving.nus.edu.sg. A new highlight for this year’s RunNUS would be the carnival to be held alongside the main running events. Participants are encouraged to attend the event with their families and soak in the joyous atmosphere with top NUS bands performing and various other exciting carnival activities and games. But that’s not all! There is a brand new Family Challenge segment for parents to bond with their kids over our specially crafted programmes. Whether a dedicated runner or not, the 10KM Competitive Run is open to all! Push your limits to finish the route in the fastest time, or take a slow jog and enjoy the scenery. Yes, that’s right – we have a unique NUS-only scenic route, exclusive only to RunNUS. Top runners in the 10KM Competitive will walk away with attractive prizes! Looking to kickstart your running career or your healthy lifestyle? The 5KM Fun Run is designed just for you. It is an ideal training distance for beginners and veterans alike. Bring your friends along too, and get them to start running! Running too easy for you? Come take part in our Family Challenge and challenge your limits! Not because it’s challenging, but because you can’t do it alone. For all the fathers and mothers, your children are welcome to take part. For everyone else, bring your friends and family along and enjoy the bond of family and friendship. Challenge your family and friends to find the 3 checkpoints found around NUS and race back to the finish in the shortest time possible. The Best Dressed Family/Team will also stand to win attractive prizes!